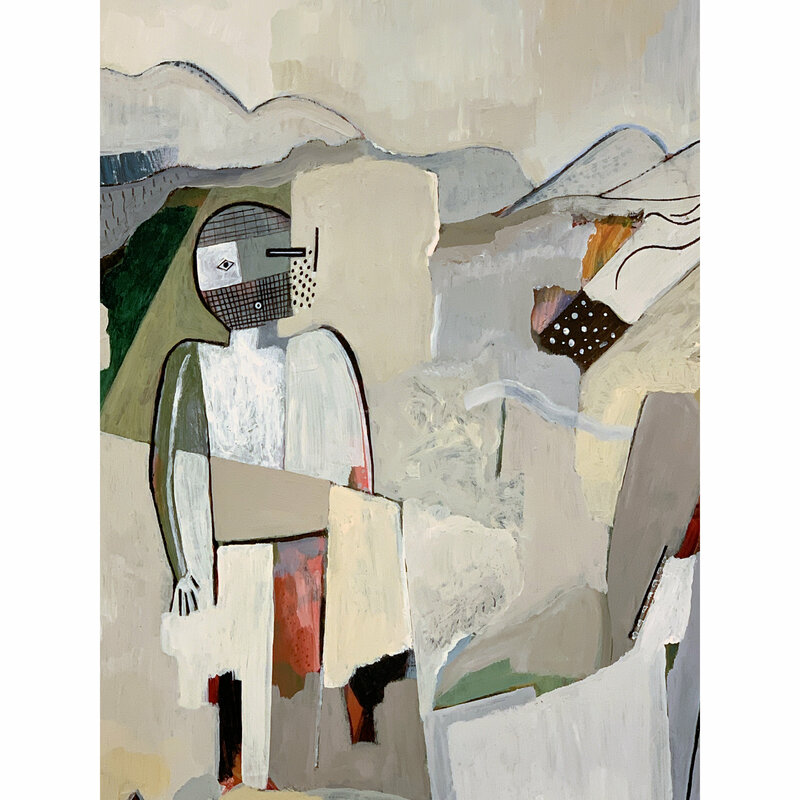 This painting by Les Namingha is titled, “Mimbres Man”. The reference is to the Mimbres pottery of the 1100’s. There are figurative elements in many pieces of Mimbres pottery. 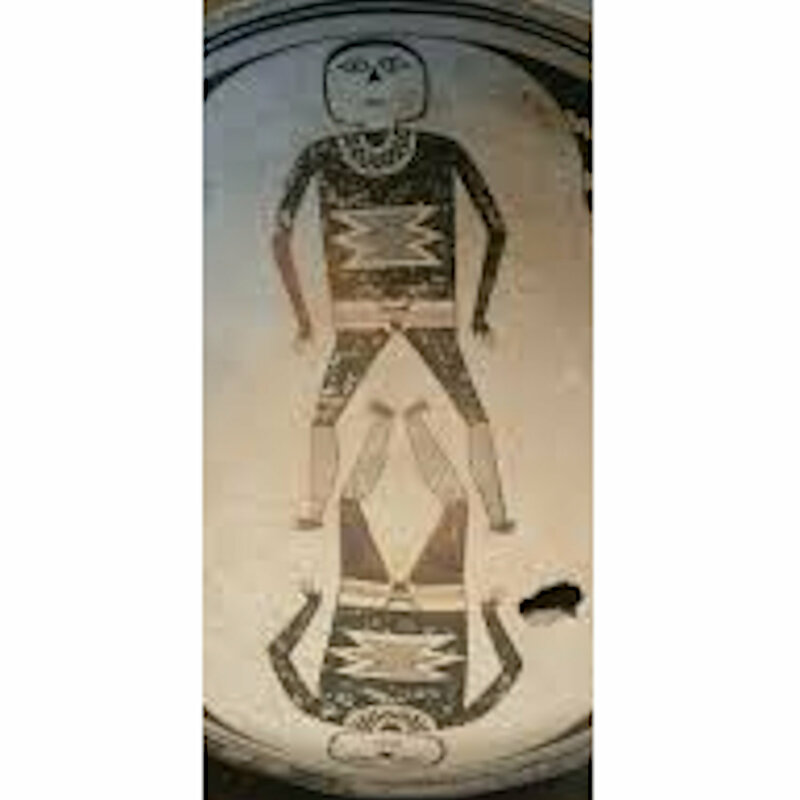 Note the very last photo and it shows a piece of Mimbres pottery with featuring two men. 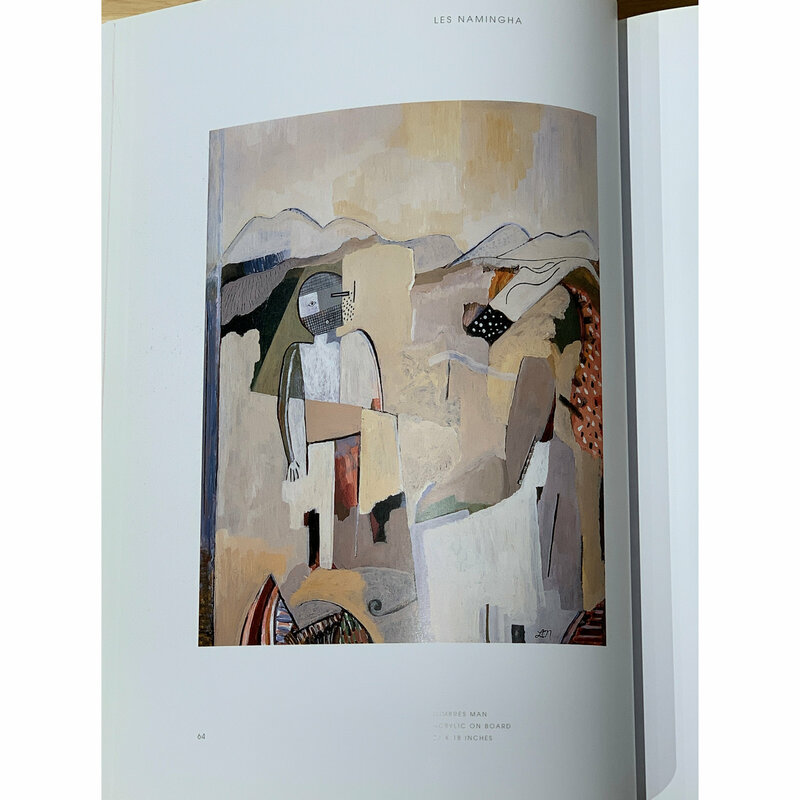 Les has taken this idea and painted a single Mimbres man as the design. In the background are the mountains surrounding the Mimbres area in Southen New Mexico. Much of the coloration is also reflective of the colors seen in Mimbres pottery. However, take a closer look at the face of the man and how the left has a more stylized eye while on the right it is the eye of a katsina. The painting quickly becomes not just a commentary on the past but on “man” and his culture. The painting is certainly a dynamic one by Les Namingha! 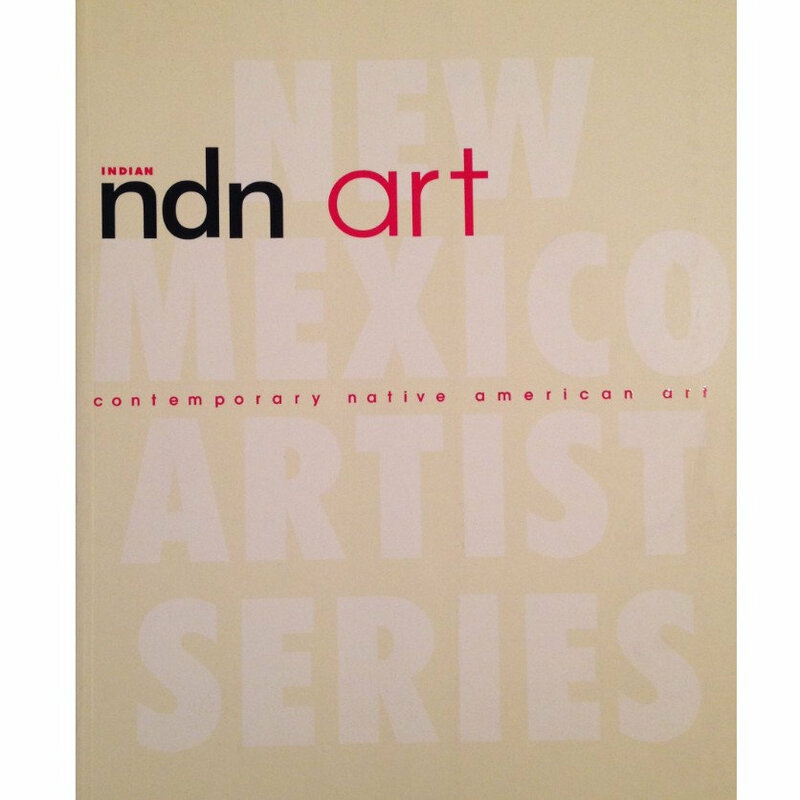 It was featured in the book “NDN Art” on p. 64. It is acrylic on board and it is framed in a wood frame. It is in excellent condition and signed 0n the lower right, “LN”. 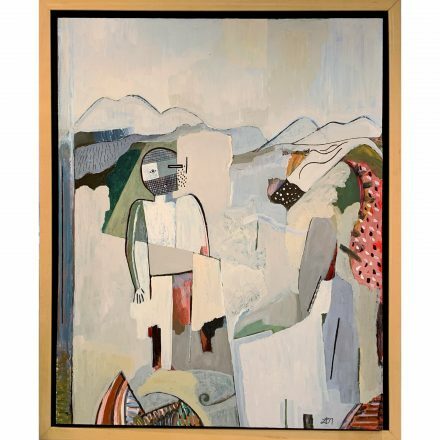 Always nice to have the provenance of a painting which has been published and captures the creativity of the painter!